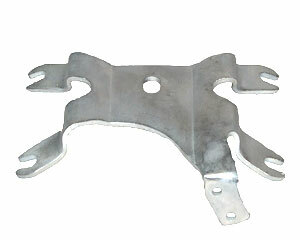 There were only two changes in the front motor mount from 1952 to 1969. 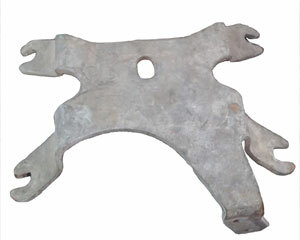 The 16210-52 Front motor mounting plate - right and 16213-52 Front motor mounting plate - left changed in 1956 to the -52A versions, which had a small slot (shown in the illustration) in each plate. The K and KH use two 16237-52 Front motor mounting screws. The Sportster uses two 16237-57 Front motor mounting screws.